Bacteria Fighting Bacteria; How We Might Be Able To Beat Superbugs! Superbugs; it’s a term that is commonly thrown around in the media but what are they and what makes them so ‘super’? Let’s go back a bit. Antibiotics can be defined as substances extracted from bacteria used to kill other bacteria. It is a technique used by bacteria to eliminate a threat or a source of competition for a source of nutrients. This interesting and now quite common technique was accidently discovered by Sir Alexander Fleming in 1928 when he was doing research on the influenza virus. Penicillium notatum had destroyed the bacteria on one of his staphylococcus culture plates and it was thanks to some ‘mould juice’ that the bacteria was producing; inhibiting staphylococcus growth. Hence, penicillin was discovered. Antibiotics either work by inhibiting the way in which the bacterias structure is formed or by stopping its replication and metabolism. Since then, there has been an incredibly vast range of antibiotics that have been manufactured to cure most bacterial infections but the fear is that we’re becoming too reliant and hasty to use them. It is this overuse of antibiotics that is the major cause of bacteria that are no longer affected by the antibiotic that was designed to kill them; antibiotic resistant bacteria. The World Health Organization has identified that antibiotic resistant bacteria is a worldwide threat to public health. Not only is the over-administration of antibiotics to patients a concern but also the amount of it that we put in animal feed. The main reasons why they’re used in meat and poultry feed is to promote growth or prevent disease in conditions which are crowded or unhealthy. The constant bombardment of antibiotics forces an evolutionary change to occur in the bacteria to increase their chances of survival; leading to the resistant strains. Superbugs are currently here with strains appearing in the US and UK. With the fear of superbugs becoming justified and prominent, where to from here? The answer is bacteria. An article published in Current Biology has found a species of bacteria which can work alongside the body’s immune cells to treat a bacterial infection. They used zebrafish larvae for the study and infected them with a bacteria known as Shigella flexneri which is known to cause dysentery in humans and primates (bloody diarrhea). The reason why they used zebrafish is because the bacteria doesn’t cause any pathological damage to them. The bacteria used is called Bdellovibrio bacteriovorus which preys on a range of different types of bacteria and, when injected into the zebrafish, was alive for a long enough period of time to decrease their numbers and then was removed from the body by the immune system of the fish. Such cooperation between the body’s own immune system and the predatory bacteria might be the essential relationship that minimizes or even prevents the overwhelming risk that is associated with antibiotic resistant bacteria; leading to future treatments and therapies. 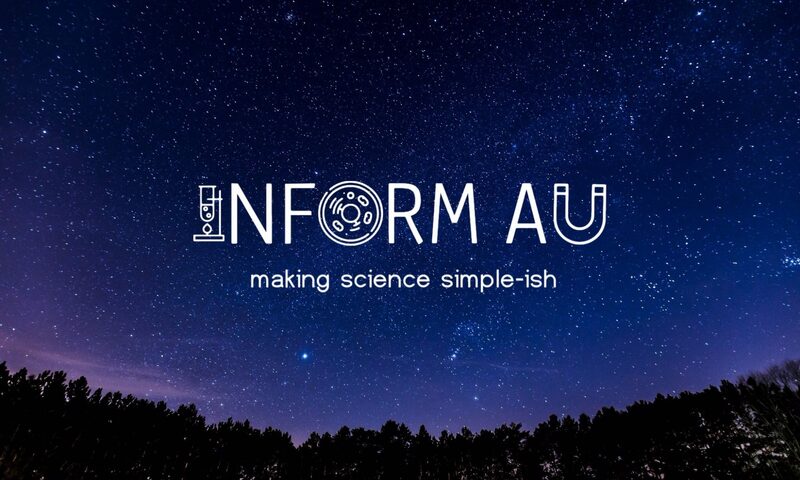 Previous PostPrevious Inform AU Podcast Ep 2! Next PostNext Inform AU Podcast Ep 3!